The Midwest is blessed with all sorts of fishing opportunities. Lakes, rivers, ponds, and reservoirs dot our landscape. Wherever you live, you don’t need to drive far to wet a line. 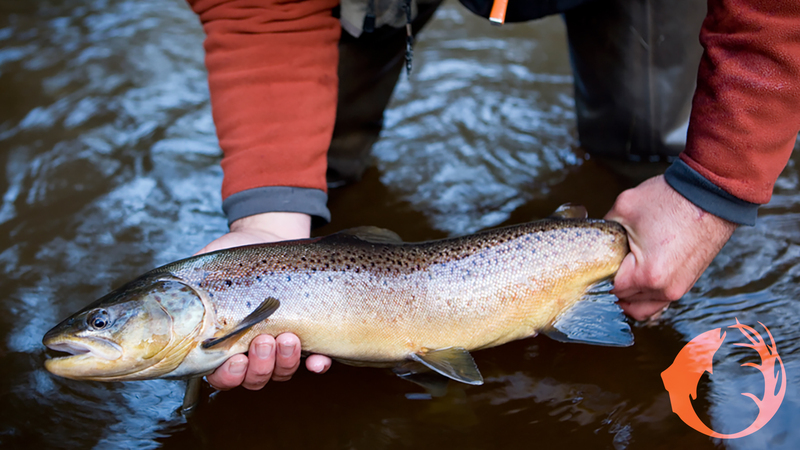 Rivers can provide some outstanding fishing action throughout the summer. Actually, rivers can be good year ‘round, especially the larger rivers. However, in the summer, small, medium, and large rivers can provide anglers with action from a wide variety of fish species. Sometimes, in the heat of the summer, lakes can get tough to fish. The fish in rivers however, just keep eating. Rivers have current, so fish in rivers are constantly expending energy. To sustain their energy, they need to eat more often. Because river fish are almost always fighting the current, they become stronger than their lake-dwelling cousins. They also usually don’t grow as fast, although there are still plenty of big fish to be found in most rivers. Because of the current, it’s a good idea to remember that most of the time a fish that wants to eat will be facing upstream. Therefore, it works well to present your bait so it is working downstream or cross current. By doing so, the fish will be able to see it better. Also, any wounded minnow or bug or crawdad will be moving downstream, so this is a very natural presentation. Rivers can produce action when their lake-dwelling cousins get finicky. There are times when working upstream is better. This is most noticeable when trolling crankbaits. Troll crankbaits upstream, going faster as the water warms. A #5 Salmo Hornet is a killer in rivers. A jig/plastic combination is perhaps the best set-up for catching fish in rivers. In the summer, a Thumper Jig tipped with a three inch Impulse Swim’n Grub is a killer. Thumper Jigs have a small blade that attracts a wide variety of fish, and the plastic adds size and color. Pretty much any gamefish that swims in Midwest rivers will eat the Thumper/Swim’n Grub combo. If you’re a shore or wading angler, look for areas that have deeper water near by. In small rivers, deep water might be only four or five feet deep. Concentrate your efforts on cover near deep water. Walleyes, bass, pike, muskies, trout, pretty much any river predator will hang out around logs, rocks, docks and anything else that provides refuge just waiting for something to eat to go by. Also, it works best to wade upstream to reduce the chance of alerting the fish to your presence. It also works better to fish at water level instead of being profiled against the sky on the bank above the water. Rivers are abundant throughout the Midwest. Their inhabitants are willing eaters and strong fighters. That should be enough to encourage anyone who wants to go fishing to try a river this summer. Maybe I’ll see you out there.